Anjan Chatterjee is a Professor of Neurology at the University of Pennsylvania. His clinical practice focuses on patients with cognitive disorders. His research focuses on spatial cognition and language, attention, neuroethics, and neuroaesthetics. He is President of the International Association of Empirical Aesthetics and the Chair of the Society for Behavioral and Cognitive Neurology. He is also a member of the AJOB Neuroscience editorial board. Alex Rodriguez is the latest in a long list of superstar athletes embroiled in a doping scandal. Lance Armstrong, Tyson Gay, Barry Bonds, Marion Jones, and Mark McGuire, among many others, preceded him. Competition in sports is predicated on athletes following rules; rules that try to codify fairness. Some combination of natural talent and effort is rewarded. Each athlete strives and may the best man and woman win. Despite this ethos, doping scandals abound. Almost a third of the athletes responding to an anonymous survey about the 2011 World Track and Field competition admitted to using performance enhancing drugs . Such competitions showcase the allure of enhancements that is magnified by winner take all environments. Rewards in sports do not scale linearly. Incremental differences, especially at top levels, deliver disproportionate rewards. Being the twentieth fastest runner in the world may be an extraordinary personal achievement, but it does not garner fame and fortune. Regulation, monitoring, and the possibility of public shame presumably restrain the desire to win by any means necessary when those means include breaking rules. Most sporting organizations ban some technological enhancements and allow others. The International Olympic Committee (IOC) first imposed restrictions on drugs in sports when it banned steroid use in 1976. In the early 1960s fiberglass poles were allowed in the vault. More recently, in 2010, polyurethane swimsuits were banned. The IOC allowed Oscar Pistorius, the “the blade runner” so dubbed because of his prosthetic carbon-fiber legs, to compete with able-bodied athletes in 2012. Experts debated whether his prosthetics gave him an advantage. The fact that he did not qualify for the 400m finals or actually win the event may have kept the controversy from escalating. Two recent developments, one scientific and the other commercial, make it worth reexamining the use of technological aids in sports. 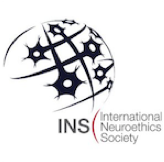 In the last decade noninvasive brain stimulation (NIBS) has become a mainstream investigative tool in cognitive neuroscience. Unlike functional neuroimaging, NIBS offers a direct way to make causal inferences about brain-behavioral relationships. NIBS is also used to treat depression and is being investigated to treat neurological syndromes such as aphasia and neglect. Of the NIBS techniques, transcranial direct current stimulation (tDCS) is particularly germane to this discussion. tDCS is cheap, easy to administer, and appears to be relatively safe when used appropriately. Recent laboratory investigations demonstrate the potential for tDCS to enhance various abilities , some directly relevant to athletic performance (reviewed in [3, 4]). Low intensity current delivered to different parts of the brain has been reported to increase muscle strength, quicken reaction times, ameliorate muscle fatigue, accelerate motor learning and improve attention and perception. Twenty minutes of motor cortex stimulation for 5 consecutive days, improves the acquisition and consolidation of complex motor skills; these improvements remain evident 3 months later . The extent to which improvements detected in the laboratory will enhance real world performance is not known. Whether improvements in some abilities will produce declines in other abilities is also not known. "Be First, Be Fast, Be Foc.us"
The commercial development relevant to this discussion is the availability of tDCS equipment. Doping typically requires prescriptions from physicians or drugs from scientists as occurred in the Bay Area Laboratory Co-operative (BALCO) affair. tDCS faces no such barriers to access. DIY tDCS communities exist and online tutorials for how to apply the stimulating current are easily available. The equipment is being marketed to gamers and is now sold commercially for under $250 (http://www.foc.us/). The company’s website exhorts gamers to “Be First, Be Fast, Be Foc.us.” The current delivered by the headset will be controllable by mobile apps. As of this writing, the company has sold out of their headsets since sales began in July 2013. Their website states that the product is not a medical device and is not regulated by the FDA. The headset is designed elegantly. One senses its appeal to fashion sensibilities of early adopters of tech gear who can add it to their Google glass and smart watch ensemble. Appealing to gamers is a short step from enticing sports competitors more broadly. Whether the initial laboratory findings will generalize to meaningful real world performances will not be known for a while. In the meantime anecdotal endorsements will likely abound. Many at different levels of sports will experiment with the device. Sports clinics will frame tDCS use as a cutting-edge training technique. Its use will be difficult to monitor and near impossible to regulate since as of now there are no known biomarkers capable of detecting tDCS’s prior use. It may turn out that statistically better laboratory performance after applying current to the head does not translate into better performance on the field. Then, controversies around tDCS in sports will be short-lived. But what if the use of this device actually improves sport performances? Should enhancements in sports be allowed or banned? The position to allow enhancements questions the assumption that sports are fair. Epstein’s  book “The Sports Gene” reviews how people are born with vastly different genetic endowments that make some people much better suited to excel in certain sports than others. Perhaps enhancements will help level the genetically tilted playing field. If effort is what we value, then we should minimize all factors that contribute to variance in performances that do not depend on effort. The position to ban enhancements is motivated by a respect for rules, a concern for safety, and a desire to avoid an arms race in enhancements. The position to allow some but not other enhancements, as is the case now, is based on drawing a principled distinction between allowable and non-allowable interventions. How best to draw such a distinction is far from clear and open to debate. Ultimately, sports depend on competing within agreed upon rules. Every new technology that might enhance performance forces us to examine the logic underlying those rules, the values they embody, and the meaning of sports . This is not a new issue, as evident with fiberglass poles, anabolic steroids, erythropoietin, buoyant swimsuits, laser eye surgery, and many other examples. What is new about tDCS is that monitoring the use of this technological enhancement, for the foreseeable future, will be impossible. Should rules in sports adhere strictly to principles, if we can agree on those principles? Or should rules in sports be guided by the pragmatics of detection and enforcement? 2. Hamilton R, Messing S, Chatterjee A. Rethinking the thinking cap: Ethics of neural enhancement using noninvasive brain stimulation. Neurology 2011;76:187-193. 5. Reis J, Schambra HM, Cohen LG, et al. Noninvasive cortical stimulation enhances motor skill acquisition over multiple days through an effect on consolidation. Proceedings of the National Academy of Sciences 2009;106:1590-1595. 6. Epstein D. The Sports Gene: Inside the Science of Extraordinary Athletic Performance: Penguin Group US, 2013. 7. Murray TH. Sports Enhancement. Crowley M(Hg): From Birth to Death and Bench to Clinic: The Hastings Center Bioethics Briefing Book for Journalists, Policymakers, and Campaigns New York 2008:153-158. I thank Roy Hamilton and Tom Murray for helpful feedback.